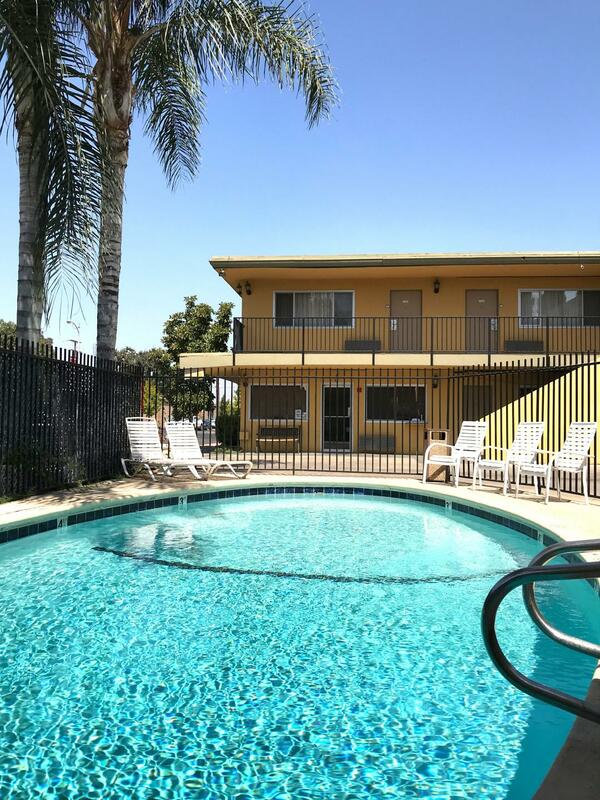 Welcome to Americas Best Value Inn of Manteca located in the Central Valley of California. A combination of good soil, an excellent climate, and pure water make this one of the greatest agricultural areas in the world. Make sure to visit the nearby Turtle Beach Preserve, Tracy Outlets, and Tracy Historical Museum. Local restaurants include Applebee's, IHOP, Red Robin, Chili's, Wendy's, and Denny's. Our hotel has recently completed a full renovation. Start your day right by picking up a free newspaper in our lobby and enjoying our free continental breakfast with hot waffles available from 6am-9am. Free coffee is available in our lobby 24 hours-day. Take a swim in our outdoor pool, relax in our jetted hot tub, rejuvenate in our sauna-steam room, and stay fit in our fitness center. 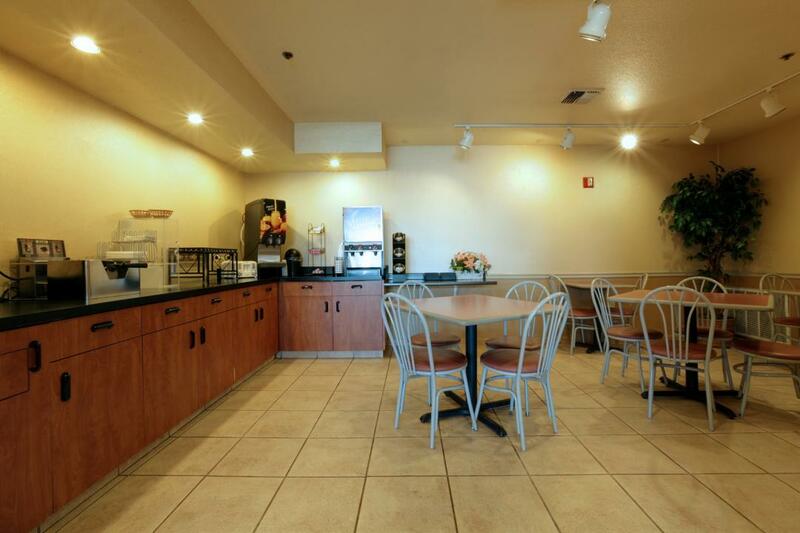 Appreciate the convenience of our on-site business center, meeting facility, and guest laundry facility. Unwind in our spacious guest rooms and suites with amenities including free wireless high-speed Internet access, microwave, mini-fridge, coffeemaker, satellite TV with HBO, hairdryer, iron, ironing board, and free local calls. We are a 100 percent non-smoking hotel. Sorry, we no longer accept pets. At Americas Best Value Inn Manteca, We've Got You Covered from the time you hit the road until your head hits the pillow. European Yosemite Cafe and Courtyard, 0.1 mi. Hong Kong Restaurant, 0.5 mi. De Vega Brothers, 0.6 mi. Webers BBQ and More, 0.7 mi. Applebee's Neighborhood Grill, 1.1 mi. El Jardin Fine Mexican Food, 3 mi. We offer one 323 square foot meeting space that can accommodate up to 20 people. A white board, TV, screen, coffee, and water are provided. Check out these Manteca attractions during your stay. Button Estates Park, 0.5 mi. Manteca Bowl and Family Center, 0. mi. Manteca Park Golf Course, 1 mi. Casino Real Card Room, 1.4 mi. Clubs 4 Less, 1.4 mi. Bass Pro Shops, 3.4 mi. Ripon Power Play Sports Arena, 5.6 mi. Big League Dreams Sports Park, 5.8 mi. Turtle Beach Preserve, 6.4 mi. Manteca Historical Society, 2 mi. Childrens Museum of Stockton, 15.6 mi. Tracy Historical Museum, 15.6 mi.